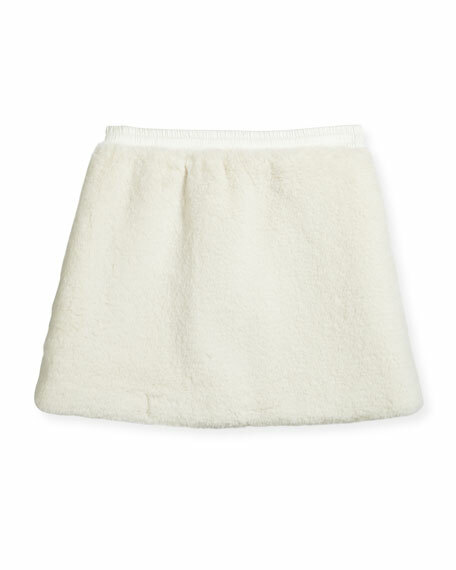 Moncler faux shearling (polyester) skirt. For in-store inquiries, use sku #1929211. 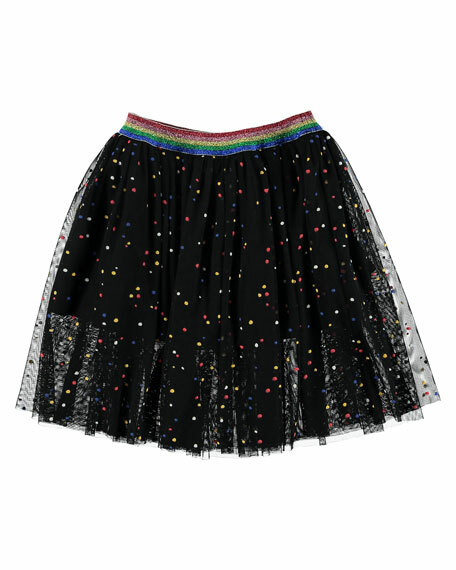 Stella McCartney tulle skirt with multicolor dot print. Striped, metallic elasticized waistband. A-line silhouette. Polyester; cotton lining. Imported.